Ideal for carpets, car interiors, upholstery, floors and hard surfaces. 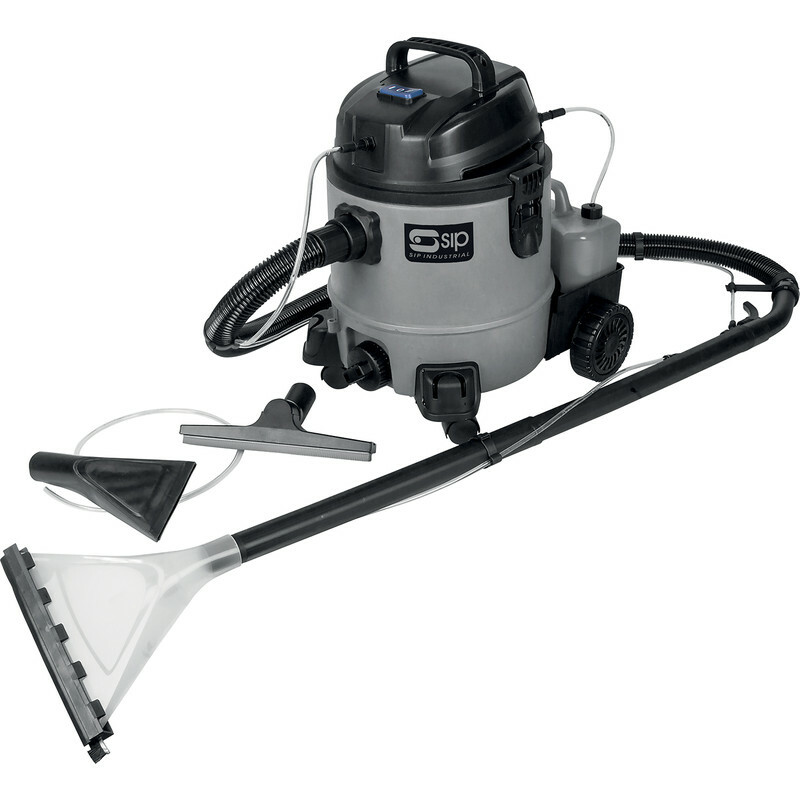 Includes a large and small detergent, crevice tool and floor brush. SIP 07916 1400W 3 in 1 Valeting Machine 230V is rated 1.0 out of 5 by 2. Rated 1 out of 5 by Toma from Flimsy Should have read the description, 'valeting' in the name explains why the flex is too short with no rewind mechanism, the machine is noisy, there is no carpet brush and the hose attachment to the cylinder keeps falling out. The carpet shampooing tubes cannot be detached from the main hose which makes 'valeting' a clumsy affair.